Tracklist Revealed For Young Jeezy's "It's Tha World"
Home>News> Tracklist Revealed For Young Jeezy's "It's Tha World"
Check out the features and producers you'll find on Young Jeezy's new tape, dropping later today. Young Jeezy's is dropping a new mixtape in a couple of hours, for which we were missing the tracklist. Now it's been revealed, and the producers and features are looking solid. Check out the tracklist below, and come back for a download of It's Tha World in an hour or two (assuming there are no delays). 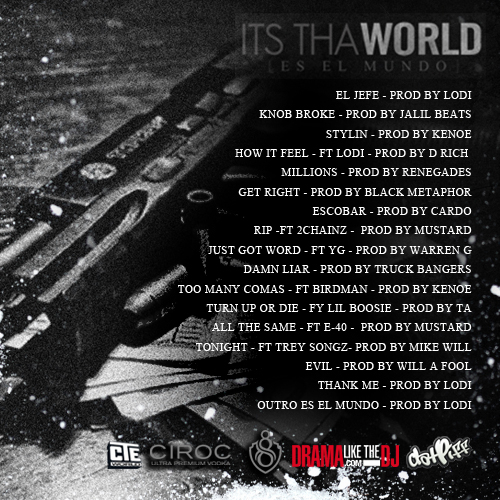 NEWS Tracklist Revealed For Young Jeezy's "It's Tha World"